Background: Xanthomonas citri subsp. citri (Xcc), the causative agent of bacterial citrus canker, has affected citriculture worldwide. Varieties of means have been used to minimize its devastating effects, but no attention has been given to bacteriocins. Objectives: Here and for the first time, we report the isolation and characterization of two novel bacteriocins. Materials and Methods: Secretome containing bacteriocins of isolated bacteria was separated via SDS-PAGE. Each isolated protein band was characterized and checked for its efficacy in controlling two pathogenic isolates of Xcc via disk diffusion assay. The effects of varieties of carbon, nitrogen and phosphate sources were evaluated on both bacterial growth and bacteriocin production via Taguchi orthogonal method. Results: The two bacteriocins showed an activity up to 55ºC that were sensitive to proteases suggesting being protein in nature. Analysis of SDS-PAGE purified protein bands of bacterial secretomes with demonstrated potency against Xcc revealed the presence of peptides with relative molecular masses of 16.9 and 17 kDa for Cronobacter and Enterobacter, respectively. Sequence analysis of peptides revealed an HCP1 family VI secretion system homologue for Cronobacter (YP_001439956) and pilin FimA homologue for Enterobacter (CBK85798.1). A Taguchi orthogonal array was also implemented to determine the effect of temperature and eight other chemical factors on bacteriocin production for each bacterium. Conclusions: Two peptides with novel antibacterial activities effective against Xcc were isolated, characterized and conditions were optimized for their higher production. Bacterial phytopathogens affect the well-being of plants, reducing the quality and in severe cases quantity of produce. Use of resistant cultivars, antibiotics and chemicals next to the eradication of infected plants in case of quarantine bacterial diseases are amongst many approaches that usually are being considered to suppress their negative impact in agriculture. Nevertheless, a combination of less agrochemical and more biological control methods next to the use of resistant cultivars, so called integrated disease management system (IDMS), would be more beneficial to the environment, health and agricultural production. Use of microbial exudates including but not limited to antibiotics, proteinaceous exotoxins, lysozymes, and bacteriocins (1) may reduce the population of bacterial pathogens during seasonal outbreak. Ribosomally synthesized antimicrobial peptides also known as bacteriocins with detrimental effect on limited bacterial host range can play an important role in the biocontrol of plant pathogenic bacteria species (2, 3). Thus far, out of 2254 identified antibacterial peptides from a range of organisms, 167 peptides are from bacterial sources (http://aps.unmc.edu/AP/database/antiB.php, 07/24/2103; 4). Of which only 9 antibacterial peptides are from gram negative bacteria, namely from Serratia plymuthica and Escherichia coli (5-13). Here and for the first time, an effort put towards identification of bacterial species that have the capability of inhibiting the growth of Xanthomonas citri subsp. citri (Xcc). Additionally, the bacterial secretomes were surveyed in order to pinpoint the possible anti-Xcc factors that can be considered as bacteriocins. The findings may have some implications in direct use of the bacterial species in nature to control Xcc population, if no other harms to be associated with these species. Following isolation of bacteriocins, the bacterial culture media were optimized towards faster bacterial growth and higher bacteriocin production. For this purpose and in order to avoid Factorial experiments with multifaceted combinations of factors, Taguchi orthogonal array method was used to obtain the same data with fewer experiments (14, 15). Citrus plant parts, leaves, fruits, and branches, either healthy or with canker symptoms, and soil were collected from different locations of Sistan-Baluchistan province, Iran. The plant parts were surface sterilized with 70% (v/v) ethanol once, ground to small pieces and added to Falcon tubes containing 2 ml nutrient broth (NB, pH 6.5). Similarly and in order to keep even less-populated bacterial species in our collected samples, 0.1 g of soil was added to NB. The samples were incubated at rotary shaker (180 rpm) at 37ºC for 24 h. The bacterial cells were collected from the supernatant after centrifugation at 7000 ×g for 7 min at 22ºC. The cells (100 mL) were plated on nutrient agar and incubated at 37ºC for 24 h. Single clones (500) were isolated via few rounds of subculture and used for their controlling efficiency against Xcc (21 Iranian isolates and 3 international strains, namely LMG-9322, LMG-9671 and CFBP-3369) via disk diffusion assay. Paper filters were punched into circular pieces and layered on plates with bacterial cells already spread on. The secretomes were spotted on filters and the growth of bacterial cells was monitored. In order to isolate secretomes containing bacteriocins, selected isolates (5 mL) with inhibitory effect on Xcc were cultured in NB and centrifuged at 1000 ×g for 10 min. Supernatant passed through 0.2 micron biological filter to avoid any bacterial cells and 1 mM PMSF was added. The supernatants were concentrated using Amicon ultra-4 centrifugal filters with 10 kDa cutoff size (Millipore, MA, USA) at 4500 ×g and stored at 4ºC. Bacterial isolates with antagonistic activities against Xcc were characterized via sequence analysis of 16s rDNA. DNA was isolated using DNA isolation kit (Bioneer, Daejeon, Republic of Korea) according to the manufacturer. Isolated DNA was used as template for PCR amplification of 16s rDNA using forward (5¢-GAGTAATGTCTGGGAAACTGCCTG-3¢) and reverse (5¢-CCAGTTTCGAATGCAGTTCCCAG-3¢) primers. PCR was initiated at 94ºC for 5 min, followed by 35 cycles of [94ºC: 30s; 57ºC: 45s; 72ºC: 90s] and a final 72ºC for 5 min in a 25 mL reaction containing 2.5 mL 10× PCR buffer, 25 mM MgCl2 (1.5 mL), 5 mM dNTPs (1 mL) and 20 pmoles of each of primers. The PCR product was purified using High Pure PCR purification kit (Roche, USA) according to the manufacturer. The amplicon was sequenced at Source Bioscience (England) and phylogentic tree was constructed using MEGA 5.1 Beta4 (16). In addition to sequence analysis, biochemical characteristics of bacterial isolates were determined using Indol, methyl red, Voges-Proskauer (VP), H2S, citrate, urea, gelatin, glucose, xylos, lactose, manitol, arabinose, sorbitol, ortho-nitrophenyl-b-galactoside (ONPG) and ornithine decarboxylase. Moreover, the bacterial movement was tested. Cultures of selected bacterial isolates (50 mL) with the ability to inhibit Xcc growth were poured on petri dishes and pulsed with 320 nm UV light for 4×30 s. The plates were incubated for 1 h at 22ºC and centrifuged at 7000 ×g for 10 min. The supernatant was filtered through 0.2 micron filter and disk diffusion assay was carried out to establish the possible effect of UV on bacteriocin production. The supernatant content was separated via SDS-PAGE according to Laemmli (17) and non-stained protein bands according to the adjacent lane that is stained with Coomassie Brilliant Blue R-250 (Merck, NJ, USA) were excised from the gel. The gel pieces were incubated in 4.5% (v/v) Triton X-100 for 1 h, washed twice with PBS for 2 min each and incubated in PBS on a rotary shaker for 1 h at 35ºC. PBS buffer was replaced and washed with 250 mM Tris buffer (pH 7.0) three times, subsequently 20 mM Tris buffer (500 mL) was added and each tube was sonicated in cold water-bath (6 pulses of 50 V for 30 s each). Sephadex G75 was used to separate each protein band (1.5 mL) from the gel content at 500 ×g for 10 min. Each isolated protein band was checked for its efficacy in controlling two pathogenic isolates of Xcc via disk diffusion assay as stated above. The bands with antibacterial effects were further characterized by incubation in a range of temperatures (25, 35, 45, 55, 75, 90, 95, 100, 110 and 130ºC) and treatment with 25 mg.mL-1 filtered trypsin, pepsin, proteinase K and papain for 30 min. Furthermore, bacteriocins were incubated in buffers (1:2) with pH range of 3-10 for 1 h. Detergents (1% (v/v) of Triton X-100, Tween 20 and Tween 80) and solvents (1% (w/v) of sodium dodecyl sulfate (SDS), ethylene diamine tetra acetic acid (EDTA) and NaCl) were added to bacteriocins and incubated for 30 min. Subsequent to all above treatments a disk diffusion assay was performed against Xcc. Initially the effects of varieties of carbon (glycogen, chitin, starch, polygalacturonic acid, sucrose, lactose, maltose, galactose, mannose, arabinose, glucose, fructose), nitrogen (NH4Cl, (NH4)2SO4, (NH4)2HPO4, NH4NO3, CH3COONH4) and phosphate (KH2PO4, K2HPO4, Na2HPO4, NaH2PO4) sources (1% w/v) were evaluated on both bacterial growth (represented as OD600) and bacteriocin production (represented as halo diameter in mm via disk diffusion method) via Taguchi orthogonal analysis (14). Each experiment was repeated trice. Each source was added individually to LB, autoclaved at 121ºC for 20 min, except for monosaccharaides that were filter sterilized. Since proper controls were considered for the experiment, differential data of carbon, nitrogen and phosphate sources available in LB were collected as the effect of the added sources. Each separate medium was inoculated with 2% (v/v) of bacterial culture and incubated at 35ºC with a constant shake at 180 rpm for 24 h. The bacterial growth in each medium was stopped by putting the culture tube on ice and growth was measured spectrophotometrically at 600 nm after 24 h. From each growth medium, 5 mL of culture was centrifuged at 8000 ×g for 10 min and supernatant was filtered using 0.2 micron filter to avoid any bacterial cell intrusion. The filtrate (10 mL) was added to each paper disk and the disk was layered over NA plate with Xcc spread evenly on NA. The halo diameter (mm) was measured after the incubation of plates at 35ºC for 24 h.
Following the determination of appropriate carbon, nitrogen and phosphate sources, the proper sources for bacteriocin production of each bacterial isolate were used next to six other factors. The factors were pH, temperature, NaCl, trace elements (MnSO4. 2H2O (14 ppm), ZnSO4. 7H2O (14 ppm), FeSO4.7H2O (50 ppm), CoCl2 (20 ppm)), peptone (as the source of amino acids), and yeast extract (as vitamin and growth factor source) in three levels. The Taguchi orthogonal array was used to analyze the effect of these factors in bacteriocin production in three levels and each experiment repeated three times (Table 1). Taguchi analyses of variance were performed by Minitab 16 Statistical Software. Amongst 500 bacterial isolates that put through screening, only two were managed to inhibit the growths of two Xcc (isolate NIGEB-K32 and strain LMG-9671) in disk diffusion assay (Figure 1). Analysis of 16s rDNA sequences through BLASTn revealed that one bacterial isolate is Cronobacter (Accession No. JQ999984.1; Figure 2A) and the other is Enterobacter (Accession No. JX308306) (18; Figure 2B). The biochemical characteristics of Cronobacter sp. DGH1 were consistent with other Cronobacters with positive reaction with VP and citrate. The bacterium managed to digest gelatin and was grown on glucose, mannitol and sorbitol with capability of movement. On the other hand, Enterobacter sp. DGH3 demonstrated positive reaction with VP, ONPG and ornithine decarboxylase and use of citrate. Furthermore, it managed to hydrolyze gelatin and grow on xylose, lactose, arabinose, mannitol and sorbitol with moving ability, similar to other Enterobacters. Cronobacter sp. DGH1 was isolated from soil, while Enterobacter sp. DGH3 was isolated from healthy stem parts of a heavily infected plant parts with Xcc. Further analysis of other Xcc strains and isolates demonstrated that these two bacterial isolates can compromise their growth with 4-18 mm inhibition diameter (data not shown). UV treatment of bacterial cells, once compared to untreated, has improved the inhibition diameter by 3 and 4 mm for Cronobacter sp. DGH1 and Enterobacter sp. DGH3, respectively. UV may act as an inducer, probably via weakening the bacterial isolates and alerting cells to start a defense response through producing more bacteriocins. The two bacteriocins were tested for their inhibition activities against Xcc. The incubated secretomes at different temperatures managed to keep up their inhibition activity up to 55ºC (Figures 3A and B). Both treated bacteriocins with various proteases failed to inhibit Xcc growth (Figures 3C and D). Secretome protein patterns were established via SDS-PAGE and protein bands were recovered from unstained gel and tested for their inhibitory role against Xcc (Figure 4A). For each bacterial isolate, one band managed to control the Xcc growth (Figures 4B and C). The bands were further analyzed for their activities in varieties of conditions (Table 2). Most proteases and temperatures above 85ºC inactivated the inhibitory effects of these bands. The bands were sequenced via MALDI-TOF/TOF and identified as an HCP1 family VI secretion system homologue for Cronobacter sakazakii (YP_001439 956). The peptide fingerprints for Enterobacter sp. DGH3 were 100% match to pilin FimA of Enetrobacter cloacae subsp. cloacae NCTC 9394 (CBK85798.1; Table 3). Analysis of the sequence via SignalP (19) indicated the presence of a signal peptide leaving a peptide with relative molecular weight of 17 kDa (20), acting as a secretory protein predicted by TargetP (21). Generally speaking and considering these two bacteria, it seems that by deteriorating the conditions for bacterial growth, more bacteriocins are being produced. In another word, bacteriocin production is being induced under stress condition more likely as a defense mechanism and probably regardless of stress type, i.e. being biotic or abiotic stress. Major factors that improved either bacterial growth and/or bacteriocin production for each bacterium are being discussed separately in following sections. Cronobacter DGH1: Among carbon sources, maltose improved bacterial growth while polygalacturonic acid had the least effect. In contrast, polygalacturonic acid had a significant effect on production of bacteriocin, while maltose had little effect. Similarly, the response to the phosphate source was different; bacterium grew well in the availability of K2HPO4, while highest amount of bacteriocin produced in the presence of Na2HPO4. Likewise, NH4NO3 (as the nitrogen source) had the least effect on bacterial growth whereas its effect on bacteriocin production was highest (Figure 5). Enterobacter DGH3: Glucose and some other sugars improved the bacterial growth very well (Figure 6) and among these sugars, glucose stood up in increasing the amount of bacteriocin. On the contrary, and for nitrogen and phosphate sources the circumstances were different for bacterial growth and bacteriocin production: NaH2PO4 and (NH4)2SO4 improved bacterial growth with little effect on bacteriocin production, while KH2PO4 and (NH4)2HPO4 increased bacteriocin production (Figure 6). In order to determine the factors that may contribute to higher production of bacteriocin in Cronobacter DGH1 and Enterobacter DGH3, nine factors were tested via Taguchi orthogonal array. Moreover, carbon, nitrogen and phosphate sources were used for each bacterium that within preliminary analysis demonstrated to improve bacteriocin production. For Cronobacter DGH1, temperature, Na2HPO4 and peptone demonstrated to have a significant effect on bacteriocin production (P < 0.05; Table 4). Mean comparisons between levels of the significant factors revealed that the highest bacteriocin production was achieved at 25ºC, 1.5% (w/v) of Na2HPO4 and 0.5% (w/v) peptone. The other factors were statistically insignificant and therefore no mean comparison were performed. For Enterobacter DGH3, temperature, (NH4)2HPO4 and KH2PO4 demonstrated to have a statistically significant role in bacteriocin production. The highest production was achieved at 45ºC, 0.5% (w/v) (NH4)2HPO4 and 1.5% (w/v) KH2PO4. Citrus bacterial canker caused by Xanthomonas citri subsp. citri (22) affects mainly the quality and in severe incidents the citrus production. The disease begins with producing raised lesions on leaves, fruits and stems with oily, water soaked and pustule-like edges surrounding by chlorotic haloes, downgrading the produce (23, 24). It develops into leaf abscission, twig dieback and premature fruit drop, reducing tonnage per hectare of citriculture (25, 26). Hitherto, in order to control the disease and its impact, IDMS including both cultural practices such as planting wind-breaker trees around the citrus orchards and phytosanitary measures such as the use of copper-containing bactericides or antibiotics and in some areas eradication of inoculum sources have been applied (23). The IDMS has appeared to be costly, less environmentally friendly, and in some cases were impractical. Moreover, the selection pressure through the use of antibiotics and agrochemicals over the bacterial genomes has led to the generation of resistant bacterial isolates (27-29). Therefore and in order to replace or supplement copper-containing chemicals other measures with emphasis on biological control of the disease needs to be taken under consideration (30). Here and for the first time we report on the isolation of two bacterial species with potent anatagoinsitic activities against Xcc growth and further delineation of their bacteriocins, peptides with efficacy on controlling the in vitro growth of Xcc. Soil and plant samples were collected from different cities of Sistan-Baluchistan province of Iran on 2010 with emphasis on visiting the affected orchards by Xcc. Individual colonies (500) were used in disk diffusion assays on plates with cultured LMG-9671 strain and NIGEB-K32 isolate of Xcc (Figure 1). Amongst which, only two managed to effectively control the Xcc. These two isolates were further analyzed via biochemical means and analysis of their 16s rDNA sequences (Figure 2) and revealed to be a Cronobacter (foodborne bacteria) and an Enterobacter. The secretomes of both bacteria were isolated and their efficacies to control Xcc growth were tested after temperature and protease treatment. These treatments were inactivated the isolated secretome once disk diffusion assay was performed suggesting that the controlling factors are protein in nature. Secretomes were separated on SDS-PAGE (Figure 4) and each and every distinguishable band was extracted from gel and used in disk diffusion assay against Xcc. One band from each bacterium was managed to control the Xcc growth (Figure 3) that were identified via MALDTI-TOF/TOF as an HCP1 family VI secretion system for Cronobacter sp. DGH1 and pilin FimA for Enetrobacter sp. DGH3. Interestingly, these two proteins appear to be constitutively expressed without the use of any outside inducer. HCP family proteins (HCP1 and HCP2) next to VgrG (valine glycine repeat) proteins are parts of type VI secretion system (T6SS) in gram negative bacteria, constructing a needle-like injectisome on the bacterial surface subsequent to their secretion (31-33). This injectisome can puncture the other so called host cell in order to send effector proteins (34). Accordingly, HCP (hemolysin-coregulated protein) proteins do not need to bear a transit peptide for their secretion, something that we have come across through sequence analysis of HCP1. Furthermore and to the best of our knowledge, this is the first report on the presence of T6SS in Cronobacter sp. We believe that through perforating the Xcc membrane by injectisome that HCP1 is part of, the cell content will be released, causing cell death. Moreover it has been shown that HCP1 not only is part of the injectisome, but also is being secreted from the injectisome as a cytotoxic effector causing a cascade of protein responses from the recipient cell that all may lead to cell inflammation and probable rupture (35). In any case, more detailed analysis of the mechanism of action in bacterial recipient cells needs to be addressed in the future. Pilin FimA is a part of type 1 fimbriae that are fibrillar surface appendages, facilitating mannose-sensitive bacterial interaction with host cells in Enterobacteriaceae (36, 37). Fim gene clusters encode these adhesive proteins and assemble them on bacterial surface via the chaperon/usher pathway (38-40). The shaft of this appendage is made up of FimA protein subunits (up to 3,000 copies) with a FimH subunit located right at the tip of the shaft; with specific binding capacity to oligosaccharides with terminal mannose residues (41, 42). The involvement of Type 1 fimbriae in pathogenesis of variety of eukaryotic host cells has been demonstrated (43-48), but this is the first report of its involvement in pathogenesis against a prokaryote, namely Xcc. Therefore, in the future studies a detailed analysis of FimA-cell wall interaction seems to be inevitable to delineate the mechanism of action. In summary, two bacteriocins were isolated and determined that they are capable of killing Xanthomonas citri subsp. citri. Furthermore and through Taguchi orthogonal array, the factors and their suitable levels with statistically significant effects on bacteriocin production were determined. Earlier, we have put down a proposal of the direct use of bacterial with controlling ability in the environment to reduce the number of Xcc population. Therefore and in case of medium optimization for higher production of these two proteins, it is suggested to use fine filters to avoid any bacterial intrusion. The other option would be plant transformation with genes encoding these two proteins, i.e. HCP1 and FimA, to investigate plant response to Xcc. However, this approach is more likely dependent on the determination of mechanisms of actions of the proteins. Only feasible remaining option for now would be heterologous expression of these proteins and foliar application over citrus plants pre- and/or post-inoculation with Xcc. We would like to thank National Institute of Genetic Engineering and Biotechnology for the financial support under grant number M406. 1. Messaadia N, Harzallah D. Regulatory effects of Carbon sources on tobtoxin production (a b-lactam phtotoxin of Pseudomonas syringae pv. tabaci). World Academy of Science, Engineering and Technology. 2011;73:904-908. 15. Zarei M, Aminzadeh S, Zolgharanein S, Safahieh A, Ghoroghi A, Motallebi A, Daliri M, Lotfi A. Serratia marcescens B4A chitinase product optimization using Taguchi approach. 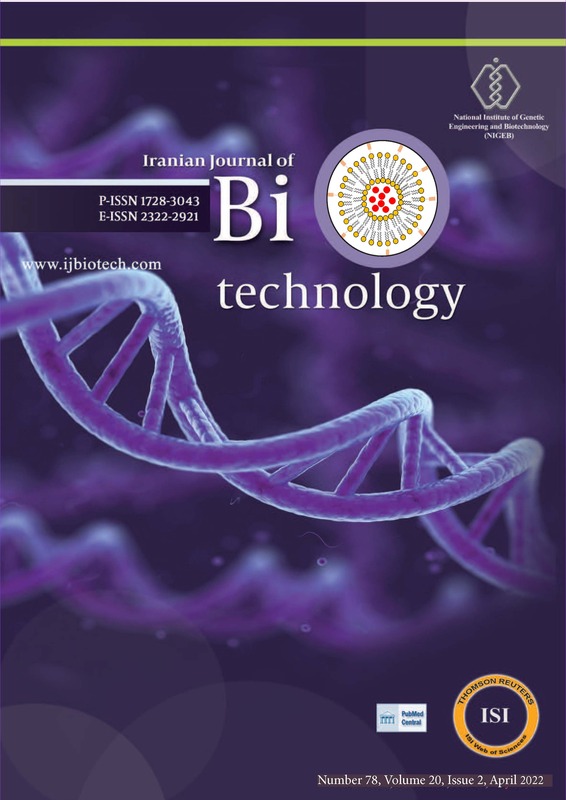 Iran J Biotech. 2011;4:252-262. 16. Tamura K, Peterson D, Peterson N, Stecher G, Nei M, Kumar S. MEGA5: molecular evolutionary genetics analysis using maximum likelihood, evolutionary distance, and maximum parsimony methods. Mol Biol Evol. 2011;28(10):2731-2739. DOI: 10.1093/molbev/msr121. 20. Gasteiger E, Hoogland C, Gattiker A, Duvaud S, Wilkins M, Appel RD, Bairoch A. Protein identification and analysis tools on the ExPASy server. In: Walker J, editor. he proteomics protocols handbook: Humana Press; 2005. p.571-607. 23. Das A. Citrus canker – A review. J Appl Horticul. 2003;5:52-60. 25. Gottwald T, Graham J, Civerolo E, Barrett H, Hearn C. Differential host range reaction of citrus and citrus relatives to citrus canker and citrus bacterial spot determined by leaf mesophyll susceptibility. Plant Dis. 1993;77(10):1004-1009. DOI: 10.1094/PD-77-1004. 29. Stall R, Loschke D, Jones J. Linkage of copper resistance and avirulence loci on a self-transmissible plasmid in Xanthomonas campestris pv. vesicatoria. Phytopathol. 1986;76:240-243. DOI: 10.1094/Phyto-76-240. 38. Gerlach GF, Clegg S, Ness NJ, Swenson DL, Allen BL, Nichols WA. Expression of type 1 fimbriae and mannose-sensitive hemagglutinin by recombinant plasmids. Infect Immun. 1989;57(3):764-770. Epub 1989/03/01. 41. Jones C, Pinkner J, Roth R, Heuser J, Nicholes A, Abraham S, et al. FimH adhesin of type 1 pili is assembled into a fibrillar tip structure in the Enterobacteriaceae. Proc Natl Acad Sci U S A. 1995;92:2081-5. 48. Ponniah S, Abraham SN, Dockter ME, Wall CD, Endres RO. Mitogenic stimulation of human B lymphocytes by the mannose-specific adhesin on Escherichia coli type 1 fimbriae. J Immunol. 1989;142(3):992-998. Epub 1989/02/01.